Iran announces new anti-Saudi measures as diplomatic spat worsens. 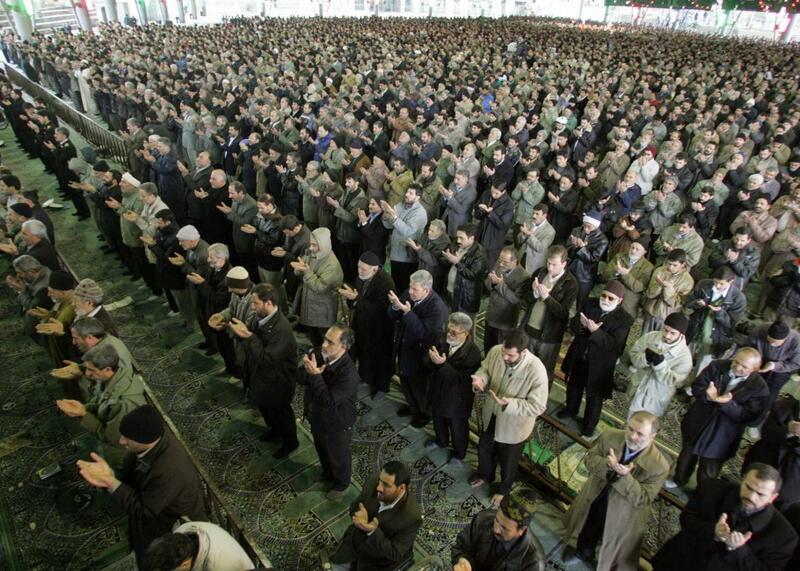 Iranian Shiite Muslims perform the morning Eid Al-Adha prayer at Tehran University to mark the end of the annual hajj pilgrimage to Mecca in 2006. Correction, Jan. 7, 2016: This post originally stated that the Iranian government had banned citizens from undertaking the annual Hajj pilgrimage to Mecca. While CNN reported that pilgrimages had been banned, Iran only reaffirmed an existing ban on the umrah, or “lesser pilgrimage.” The post has been edited in several places, including the headlines, to reflect this change. Anger in both countries is running high after the execution of a prominent Shiite cleric by Saudi Arabia on Saturday. The execution led to the storming of the Saudi Embassy in Tehran by protesters, which in turn prompted Saudi Arabia and several other Sunni-led regimes to break off diplomatic relations with Shiite Iran. The latest move coincided with another troubling development on Thursday, as Tehran accused the Saudi-led coalition conducting airstrikes in Yemen of striking its embassy in the capital, Sanaa, on Wednesday night. Saturday, Saudi Arabia resumed airstrikestargeting Houthi rebel forces in Yemen after a cease-fire that lasted less than three weeks. The Saudi government views the rebels as Iranian-backed proxies, though both the Houthis and the Iranian government deny this. Most experts believe that Iran has supported the Houthis financially but has little direct control over them. According to witnesses quoted by the BBC, the missiles only struck in the vicinity of the embassy, and there was no damage to the building itself. The Saudi-led coalition denied targeting the embassy and has promised to investigate the incident, though that’s unlikely to satisfy leaders or the public in Iran.